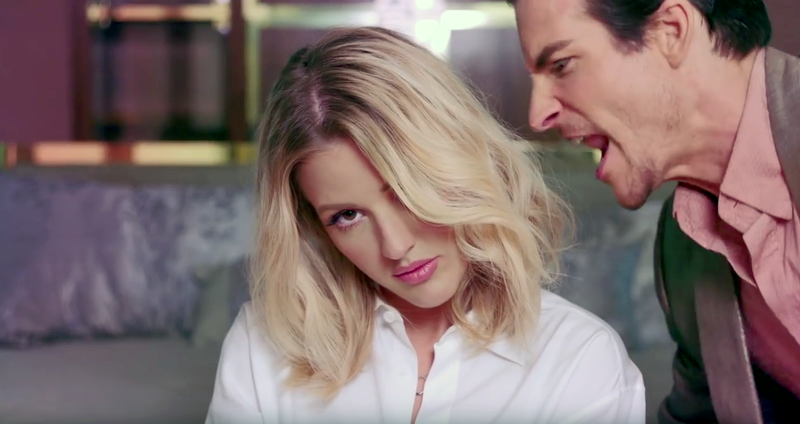 As announced, the music video for Ellie Goulding’s new single is arrived. The Max Martin-produced super radio-friendly tune is the official first single from the British singer’s forthcoming third album “Delirium”, which Interscope Records will release worldwide on November 6th. The music video was directed by Emil Nava and shot in Las Vegas. In it, we see Ellie being the girlfriend of a sicko and cheating man. Eventually, the “Starry eyed” star will get her revenge for all the psychological damage that’s been inflected on her. Uh, uh, uh, uh, ohh, uh!